Frolik Picks Up Two Points: Panthers Blank Rangers · Let's Go Amerks! The Florida Panthers blanked the Eastern Conference 1st place Rangers today. Craig Anderson made 37 saves, only further showing that he is the number one goaltender in Florida. He also made 43 saves in Friday’s shootout loss, also against the Rangers. He will be starting again on Tuesday when the Cats make a trip to Washington. Stephen Weiss and Gregory Campbell scored 12 seconds apart in the second period. Rookie Michael Frolik had a goal and an assist in the Panthers’ winning effort today. This was the first time the Rangers were shut out all season. Nice work Cats. 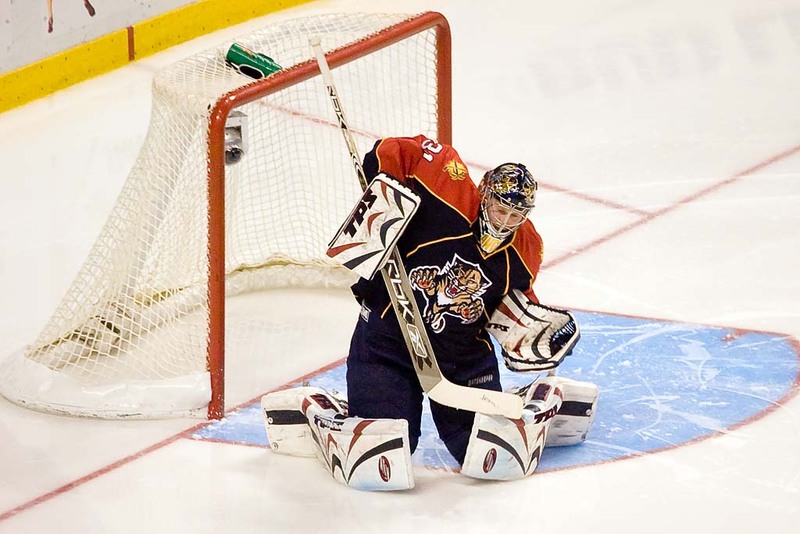 The Panthers are currently without forwards Richard Zednik, Cory Stillman and Nathan Horton. David Booth left the game in the second period with a shoulder injury and is questionable for Tuesday’s game. Don’t expect Shawn Matthias back this week.